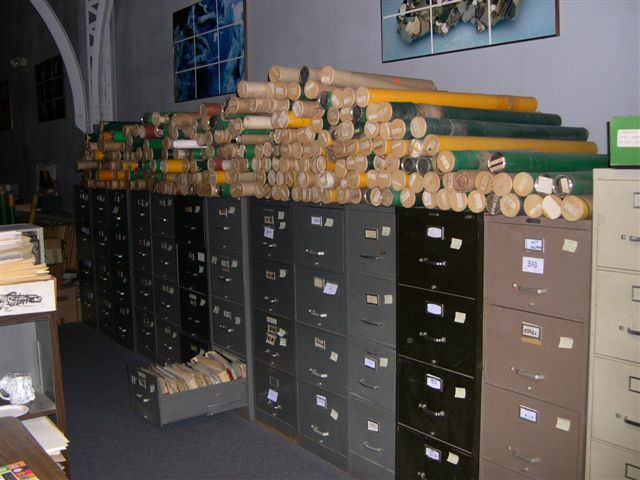 We have implemented a plan to preserve the extensive mining files and the bulk of the geological-mining library in our Phoenix office, before it is shut down on June 30. We worked out an arrangement with the State and University of Arizona that allows us to move certain expenses associated with our transfer to the university, into the next fiscal year beginning July 1. That is freeing up enough funds to hire movers. The files are ready to go, but the library materials will be loaded into large gondolas for transport. Once in the museum, we will have two weeks to unload the gondolas and put books onto shelves or into boxes. At this time, expect it will be easiest to use the bookcases that we are moving over. We will be asking help from our volunteers to load and unload the gondolas. Thanks to those many of you who have offered your assistance. We'll be calling as soon as the dates of the move are set. Meanwhile, we are assessing the costs of moving the Tucson office to the UA. As in Phoenix, the State has said they will not pay for the move. We are downsizing the library here as well, since we are moving into space only one-fourth the size of what we have. We will take the most critical materials with us. But we hope to preserve other valuable materials that do not duplicate what we have in Phoenix, if we can move those to the museum for storage as well. We are getting cost estimates now for both the UA and museum moves of Tucson materials. We will miss your valuable services. Thank you for all the hard work you have done over so many years. This is so sad to see happen.